Are you interested in how to make love last? Would you like to know if your relationship is going to stand the test of time? Then you’ll be very interested to know what one relationship researcher has found to be the #1 predictor of relationship life or death with an accuracy rate of 91% — and I know it works because its the tool I use when I first meet a couple that wants my help. In today’s show I’ll be talking about how your love story forecasts the triumph or tragedy of your relationship and how you can give yourself an easy one question test to see of you have a good chance at succeeding in having a lifetime love. 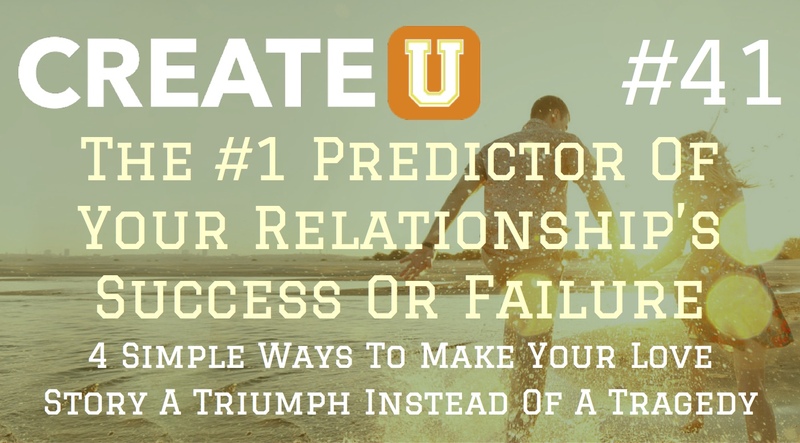 If you’ve ever wanted to know with a high degree of certainty whether or not your relationship is on the path to sustained success, then listen as I share with you the #1 predictor of your relationship’s success or failure. Question: Have someone ask you about the history of your relationship. What kind of story do you tell?When your partner describes your relationship to others, what kind of story do they tell? Does the story minimize the negatives and celebrate the positives? Did it make the other person sound great? Or did it dwell on what’s wrong? You can leave a comment by clicking here. Timely insights from Coach Jeremy. The subtle push or not so subtle kick to remind us what it takes to make relationships work.